Last weekend we invested in the long drive to visit Temecula’s Mansion Of Lost Souls (@mansionoflostsouls). This is the second year this haunt has been in existence and therefore we didn’t know much about it before our visit. We decided to take a gamble anyway, and we hit the jackpot with what we discovered. 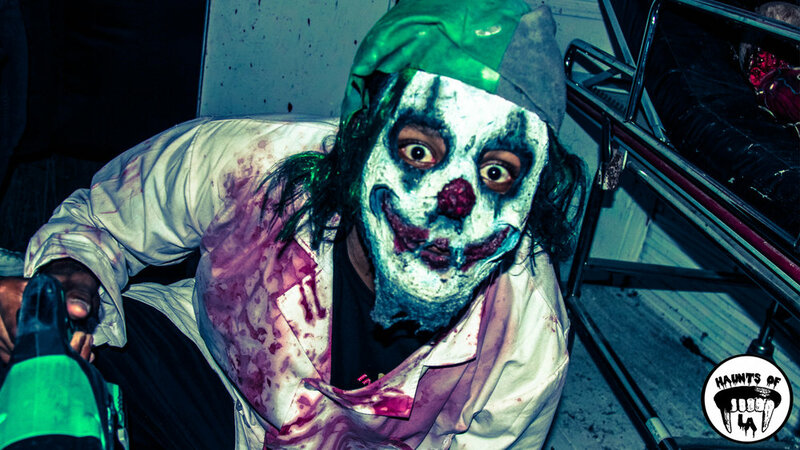 Located in the parking lot of Temecula’s Promenade Mall this haunt is comprised of multiple semi trucks which are joined together to form a narrow and intense maze experience. The exterior of the maze is rendered to resemble a medieval castle, complete with a machine which blows bubbles filled with fog. Within the maze you will encounter wild teenage actors who appear out of the shadows to frighten all who dare to enter. One might witness numerous illusions and tricks, such as rigged coffins and stairways that open to reveal hidden paths, which makes this maze a very unique experience. Mansion of Lost Souls is remarkably constructed and filled with intense surprises. The art direction is already so superb that we can't imagine what could possibly be added. However, to our excitement, the staff informed us that they plan on expanding it for every Halloween season. This promise was enough for us to know to bookmark this haunt every upcoming October as we are excited for what the future holds for these ghouls and ghost!